Disney’s A Wrinkle in Time starring Oprah Winfrey coming to theaters everywhere March 9th! 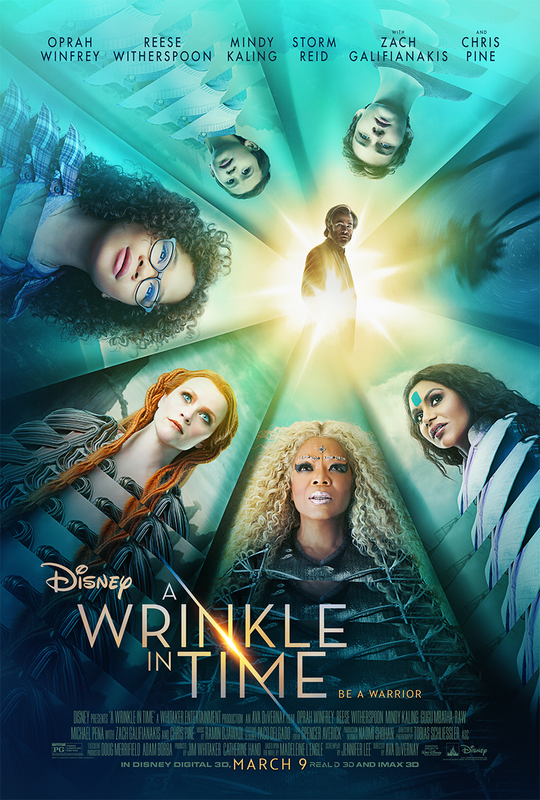 Directed by Oscar® nominee Ava DuVernay from a screenplay by Oscar winner Jennifer Lee based upon the beloved novel by Madeleine L’Engle, “A Wrinkle in Time” stars: two time Academy Award® nominee Oprah Winfrey as Mrs. 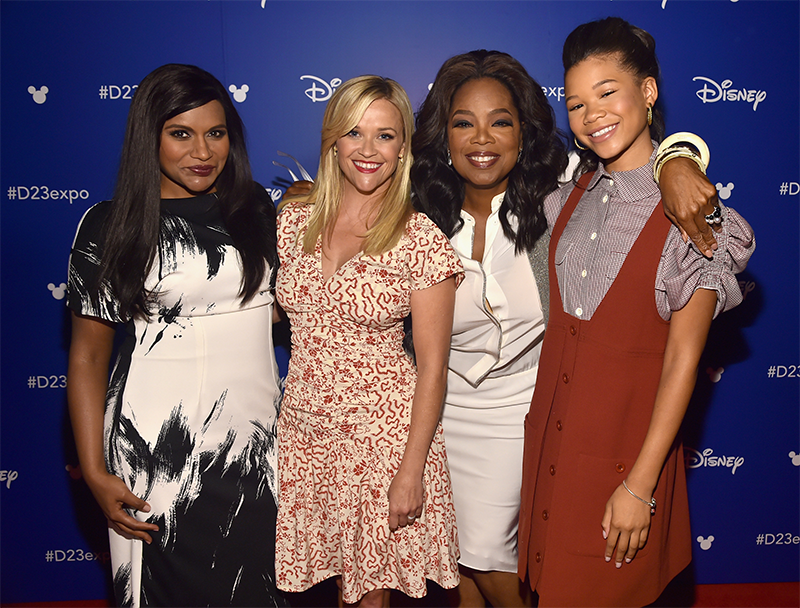 Which, Oscar winner Reese Witherspoon as Mrs. Whatsit, Emmy® nominee Mindy Kaling as Mrs. Who, Gugu Mbatha-Raw as Mrs. Murry, Michael Peňa as Red and introducing Storm Reid as Meg Murry, with two-time Emmy winner Zach Galifianakis as The Happy Medium and Emmy nominee Chris Pine as Mr. Murry. Produced by Jim Whitaker and Catherine Hand with Doug Merrifield serving as executive producer, the film also boasts an impressive creative team featuring some of the most talented and skilled craft persons working today, including: Tobias Schliessler, ASC as director of photography, Naomi Shohan as production designer, Oscar®-nominee Spencer Averick as film editor and two-time Academy Award®- nominee Paco Delgado as costume designer.